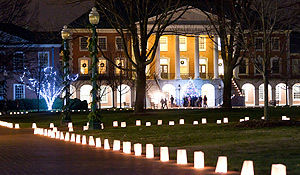 Candlelight Guided Tours (Dec. 5-7): Offered on the half-hour between 4:30-7 p.m. Hear stories about the Reynolds family’s holiday traditions, period decorations and an organist playing carols on the historic home’s original Aeolian organ. Also on view in the dining room will be Katharine Reynolds’s monogrammed china, rarely displayed in a table setting. Carolina Brass Holiday Concert (Dec. 12, 7:30 p.m.): Taking audiences on a musical sleigh ride through favorites of the season. Formed in 1997, the group engages the audience with humor and virtuosity, which is infused throughout their performance. “A Christmas Memory“ (Dec. 15, 3 p.m.): A longstanding Reynolda House holiday tradition, Robin Voiers performs William Voiers adaption of Truman Capote’s autobiographical story of his childhood holidays spent with his cousin. 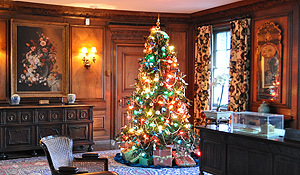 Advance purchase to all Reynolda House holiday events is recommended. For more information and details on ticket prices visit reynoldahouse.org or call 336.758.5150.